To ask other readers questions about Henry, Himself, please sign up. Thank you to Viking / Penguin Publishing Group who provided an advance reader copy via Edelweiss. This is a quiet, plodding account of a retired 75 year old Pittsburgh native. During his life Henry Maxwell's been an altar boy, military veteran, engineer, husband, father and grandfather. Though retired, Henry fills up his day with seemingly endless household projects (he's very handy), volunteering at church, shopping, walking the dog, playing golf, and enjoying the occasional adult beverage. Most of all, he utterly adores his wife of almost 50 years, Emily. Like Henry, she is very organized, makes lists, and keeps to routines and traditions. During this book we follow almost a year in the life of this lovely couple. Henry Maxwell looks around and sees a lot of changes in the city he grew up in. When his children and grandchildren have breaks, they all repair to an old inherited family vacation home near a lake. Upon arrival, all the family members are given a cleaning chore to spiff up the house that has been closed up for months. Like most families, there are problems with certain members and conflicts with different personalities. For the most part, Henry likes to stay out of the fray while his wife Emily visits the sick or gets on the phone. Reading about the holidays was a favorite part of the book. Henry and Emily are beholden to traditions with food preparation, gift-giving and decoration, and every mundane step was recounted to charming effect. The part I particularly connected with was the stress of worrying about company arriving, but the resultant happiness and warmth following all the work. Most of all, the truth that ripples throughout this book is the reality of Henry's age and coming to grips with his mortality. Henry frets about his occasional memory losses, trips to the bathroom during the night, and is stunned when his physician passes away- someone he went to school with. This is a quiet story about a very good man at the twilight of his life who has lived a good life. In Stewart O'Nan's novels, 'Wish You Were Here' and 'Emily, Alone', readers were introduced to the Maxwell family; that is, the Maxwell family minus one member.... the patriarch, Henry, who had recently passed away. In his new novel, 'Henry, Himself', Stewart O'Nan moves backward in time to the last years of the 20th century. Henry was alive and anticipating his 75th birthday and also his 49th wedding anniversary with his wife, Emily. In 'Wish You Were Here' and 'Emily, Alone', although the emph In Stewart O'Nan's novels, 'Wish You Were Here' and 'Emily, Alone', readers were introduced to the Maxwell family; that is, the Maxwell family minus one member.... the patriarch, Henry, who had recently passed away. 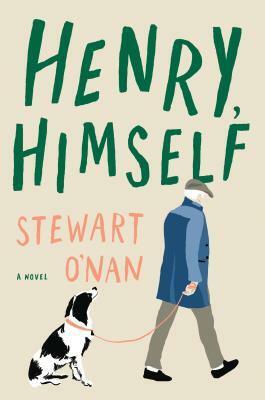 In his new novel, 'Henry, Himself', Stewart O'Nan moves backward in time to the last years of the 20th century. Henry was alive and anticipating his 75th birthday and also his 49th wedding anniversary with his wife, Emily. In 'Wish You Were Here' and 'Emily, Alone', although the emphasis was on the remaining members of the Maxwell family, there was always a sense that henry's ghostly presence was hovering. In 'Henry, Himself', Henry finally has the opportunity to speak for himself.. to relate what he thinks and how he feels about his life. This novel is a quiet one because like so many men of his generation, Henry is a quiet man. A lifelong Pittsburgher, Henry has prided himself on being solid and dependable. He fought in World War II, received his engineering degree from the University of Pittsburgh and spent his entire career working for Westinghouse electric Company. He married Emily and they had two children, Margaret and Kenny and he felt it was his most solemn duty to take care of his family's needs. He attended the Presbyterian church every Sunday and every summer, he packed up his family and took them to Chataqua Lake in western New York, where they spent their vacations at the family's lake house. But in the years since his retirement and perhaps partially because he was approaching his 75th birthday, henry had begun to question all the things he thought and believed about himself and the world around him. Although Henry is retired, he remains detail-oriented and adheres to a schedule he has set for himself for each day... taking the family dog for walks, working on projects around the family home and getting together with friends to play golf. But Henry can't rid himself of the nagging feeling that his life has no purpose. So often Henry feels bewildered and dismayed. He doesn't recognize his Pittsburgh neighborhood these days. He thinks about Halloween and how he doesn't recognize any of the parents or children who come to his door and he laments the teenagers who don't even make the effort to don a costume but instead show up with pillowcases and greedily grab handfuls of candy. His neighborhood has also been plagued by drive-by-shootings and he is frightened to think about Emily attempting to even go to the neighborhood grocery store... so they drive to a grocery store in a nearby town instead. He spends more and more time thinking about and remembering his neighborhood of the past, when he knew everyone on the block. When had it changed? Henry has also been trying to come to terms with the reality that his body had begun failing him. He took prescription drugs for so many ailments... high blood pressure, high cholesterol and even a pill to help him sleep. And on top of all of this, he has also begun suffering the indignity of losing track of his thoughts... often walking into a room and not remembering why he was there. And of course, there were his feelings of guilt over what had been happening in his children's lives. His daughter, Margaret, had been addicted to drugs, had battled alcoholism and now her marriage seemed to be in peril. His son, Kenny and his family had moved to New England and although they all tried to get together at holidays, Henry couldn't ignore the fact that they weren't close. He couldn't help but ask himself if his children's difficulties weren't in some way his and Emily's fault. Had he spent too much time at work while they were growing up? How could he possibly feel he had been a good father when his interactions with his children... and even grandchildren... often felt so awkward... long silences which they couldn't seem to fill with anything but polite conversation? This novel isn't filled with action or adventure but it IS a simple and poignant story of the daily life and routines of an average older man.. a good man.. who is struggling with how he should view his past and what the future might provide. I was drawn to the depth of character that Henry possessed. I understood how the past can, at times, seem so much more vibrant and real than the reality of your mundane daily existence. I also sensed that it wasn't really nostalgia for the past that Henry was feeling but rather that feeling of the endless possibilities for life and the future which can only be experienced so fully by the young. I was drawn into Henry's story and his introspection about his life became my OWN introspection as well. Perhaps it is the stage of life that I find myself in in my own life but Henry's doubts and questions seemed important and profound.. though large and perhaps unanswerable. What is one to do when what you always believed about yourself and what sort of person you have been suddenly doesn't seem quite accurate? And what can you do to hold onto hope... to have something to look forward to in the life that remains for you? What Henry discovered might seem simplistic and yet it is probably a difficult thing to achieve. He found that, for him, he needed to spend more time living not in the past but in the current moment.He found that when he stopped fretting and obsessing about the way the world had changed and all of the things he couldn't control... his children's happiness and whether or not Emily would be able to handle the details of her daily life once he was gone... he could actually feel, maybe not happiness exactly... but contentment... that often fleeting feeling that all is right with the world and you wouldn't change anything. As many of my Goodreads friends know, I am a HUGE fan of Stewart O'Nan's writing. he has the extraordinary ability to find the beauty and a sense of magic in ordinary people's ordinary lives. I loved this novel not only for that reason but because it truly felt like a 'Pittsburgh' novel. The book was liberally sprinkled with references to Pittsburgh neighborhoods, landmarks and sports teams and since I have lived in this area for much of my life, I thoroughly enjoyed the references. Henry represents the sort of man that was often called the backbone of this country. He fought in WWII, came home, got married and earned his degree on the GI Bill, while raising two kids with his wife, Emily. He went to work for one company until he retired. He went to work every day, supported his family, took care of his home, helped his neighbors and went to church every Sunday. He did what he thought was right and what was expected of him. Surely, if his parents were still alive, they would be proud of the man he had become, now approaching his 75th birthday. However, as Henry looks around he wondered what his life has really meant, and if it has really mattered. He’s just an ordinary guy, no one special, there are tons of guys like him all over this country. He hadn’t accomplished anything significant, had he? This is where I disagree with Henry. First, we need all the Henry’s we can get in our world today. Second, I adored immersing myself in Henry’s so-called, hum-drum, daily life. He and Emily are dependable, hard-working people. I am fortunate to have the real-deal in my own family. My older sister and her husband are well into their late seventies, married over fifty-seven years, with adult children and grandchildren. He served in the Navy, they both worked every day of their lives until recently, and they’re never idle. My sister cooks dinner every night often with their kids dropping over a few times a week. They go to church every Sunday and every holiday is celebrated at their house. They are my idols, my mentors. Henry Maxwell and his family, in a novel, have real-life comparisons all over this country, and we are so lucky to have them. They’re aging now and all of us, our children, and their children will need to take over for them. I hope we’re up to it and can do a good a job as they did. Henry is concerned that everything is changing, from his neighborhood to his once toned, healthy body and mind. But he looks forward to each day with Emily and his family, holding on to hope for the future. Really, it’s all we all have. I highly recommend this book to everyone. Make the best of every day we are given! Brandice Wonderful, thoughtful review, Toni! This sounds great! An achingly beautiful, warm, and melancholy pastoral/year-in-the-life of 75 year-old Henry who is approaching the end, though not quite there. The genius of O'Nan is that the ordinary is honored and celebrated without it ever being presented as it being more than it is. 3.5 well written. This author can definitely nail a boring book. Talk about a prequel! O'Nan has opted to finally tell Henry's story, after telling the story of his widow Emily in two other novels. The Maxwells are well known to readers of O'Nan but if you haven't read him, this is a fine place to start. Henry is looking back over his life and his family- nothing much happens and honestly there isn't even much rumination. This is, however, a gentle read that fans will enjoy. Thanks to the publisher for the ARC. When I started HENRY HIMSELF, Henry himself seemed familiar and then I realized that I had already met Henry and his family, the Maxwells in Stewart O'Nan's other 2 books about them. O'Nan makes the family memorable and compelling although nothing especially spectacular happens in their Pittsburgh home or Lake Chautauqua summer cottage. I love anything Stewart O’Nan writes. This book is no exception. Gifted ear for dialogue and I loved the Chautauqua scenes. Wonderful!!! Having not read this author before, I struggled finishing this. It was slooow and seemingly plotless. But that was the point. Telling Henry’s story and really getting into developing and understand him. I hung on because it was incredibly well written. After picking this up from the shelf I found out that I was dipping into the middle of a series, or perhaps better said, reading a prequel to a series that I had not read. And it mattered not a whit. This is a book for idle days, for putting down and picking up rather than racing through. This is a book that makes you look at your own life and loves and wonder what it would look like to strangers. The author has a wonderful way of making even the most trivial of actions notable, and although I f After picking this up from the shelf I found out that I was dipping into the middle of a series, or perhaps better said, reading a prequel to a series that I had not read. And it mattered not a whit. This is a book for idle days, for putting down and picking up rather than racing through. This is a book that makes you look at your own life and loves and wonder what it would look like to strangers. The author has a wonderful way of making even the most trivial of actions notable, and although I found myself hoping for some form of climax, I ended up fine with the fact that none appeared. A prequel to two other books about Emily Maxwell (Which at this point I haven't read), this book is about Henry Maxwell, a 75 year old retired engineer living in Pittsburgh with his wife Emily and his dog Rufus. This is a book that is really about nothing, or likely about events referenced in the two Emily books, just Henry living life and reflecting on past events, but the writing style and attention to detail bring Henry and his family and the locations in Pittsburgh and Lake Chautauqua to lif A prequel to two other books about Emily Maxwell (Which at this point I haven't read), this book is about Henry Maxwell, a 75 year old retired engineer living in Pittsburgh with his wife Emily and his dog Rufus. This is a book that is really about nothing, or likely about events referenced in the two Emily books, just Henry living life and reflecting on past events, but the writing style and attention to detail bring Henry and his family and the locations in Pittsburgh and Lake Chautauqua to life in a way that made them very relatable and drew me into the story. I would rate this book 3.5 stars if Goodreads allowed half stars. I received a free ARC of this book through Goodreads First Reads Giveaways. If you have read Stewart O’Nan before you know exactly what to expect from this book. It’s a heartfelt character study of an everyman. This book is the third in a trilogy but it can be read independently. O’Nan welcomes us into the life of Henry Maxwell, retired and trying to find a way to navigate this new world. To be honest, not much will happen. It’s a story about marriage, family, and aging but for me, this book was like going back in time and living a year of my grandfather’s life. The sce If you have read Stewart O’Nan before you know exactly what to expect from this book. It’s a heartfelt character study of an everyman. This book is the third in a trilogy but it can be read independently. O’Nan welcomes us into the life of Henry Maxwell, retired and trying to find a way to navigate this new world. To be honest, not much will happen. It’s a story about marriage, family, and aging but for me, this book was like going back in time and living a year of my grandfather’s life. The scenes at the lake house took me back to my own family visits to the family cabin on Lake Vermillion. For that alone the book was worth the read. Hard to believe that a book with no thrills, chills, suspense, or torrid romance could be so compelling. O'Nan does a wonderful job of describing life as we age, complete with daily routines, tricky relationships with grown children, frustrations and joys. Maybe because I'm in the same demographic I related more than others might. The characters are so real, if not always likeable, that I spent time comparing them to my aging relatives and long gone ones. Also, memories confronted here brought u Hard to believe that a book with no thrills, chills, suspense, or torrid romance could be so compelling. O'Nan does a wonderful job of describing life as we age, complete with daily routines, tricky relationships with grown children, frustrations and joys. Maybe because I'm in the same demographic I related more than others might. The characters are so real, if not always likeable, that I spent time comparing them to my aging relatives and long gone ones. Also, memories confronted here brought up many memories from my past. Comforting to know that what I'm experiencing is common. This book was a little sad, and some of the vastly detailed descriptions, particularly golfing scenes were not compelling. An interesting study of a man nearing the end of his life and trying to make sense of it; a compilation of chores, rituals and details all cushioning his emotional distance. Beautiful writing. Sweet story of memories intertwined with the present of an aging husband, father, brother, grandfather, son, soldier. Very detailed allowing the reader to truly see the whole man. Sweet but too long and a little dull. O'Nan's ability to capture multitudes in seemingly simple stories astounds me every time. Wonderful. Love Henry as much as Emily. O'Nan is SO good at references to EVERYTHING in that era and the stories, characters, thoughts etc so good. Wish I had time to write a decent review.